Prices start at $180,000 and it takes six months to build. Rumor has it that based on the 2018 model – but it isn’t the only movie-famous Mustang that’s making a comeback. 1974 saw the release of the original Gone in 60 Seconds starring the elusive Ford Mustang known as Eleanor, an independent film famous for its 30-minute long car chase. Tragically, the film’s director, lead actor, and main stunt driver H.B. “Toby” Halicki died on set during the making of a sequel when a stunt went wrong, but his legacy still lives on. In 2000, Nicolas Cage starred in the Gone in 60 Seconds remake which reprised Eleanor as a modified 1967 Shelby GT500. As one of the most famous cars in the world, , but now you can buy an officially licensed replica model. 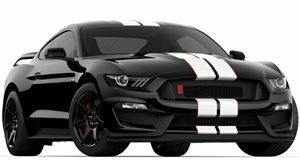 Fusion Motor Company has secured the rights to build officially licensed Eleanor Mustang Fastbacks after striking a deal with Gone in 60 Seconds producer Denice Halicki, the widow of H.B. Halicki. Fusion president Yoel Wazana and Halicki met through mutual friends which led to a discussion about an Eleanor tribute car Wazana bought that was built by another manufacturer. Wazana wasn’t happy with the quality, citing bad Bondo transitions and a fiberglass body that sagged and vibrated. Halicki then toured Fusion’s fabrication shop and gave the company the green light to produce officially licensed Eleanor Mustang replicas. Each replica is based on a 1967 or 1968 Ford Mustang Fastback. Donor cars are stripped to their shells and have new reinforcements and a Detroit Speed Aluma-Frame front IFS kit installed. They’re also fitted with custom multi-link rear suspension, Wilwood brakes, and a Currie Enterprises Ford 9-inch rear end, as well as a limited-slip differential, custom carbon fiber spoilers and splitters, and LED lights. Five different Roush V8 engines are available ranging from an entry-level 5.0-liter V8 unit that produces 430 hp, to a supercharged variant that increases the output to 600 hp. There are also three 427 cubic inch engines available with outputs of 480 hp, 560 hp and 750 hp. These units can be connected to either a five or six-speed manual or a six-speed automatic transmission. There’s even a nitrous tank in the back, which can be hooked up to a “Go Baby Go” button on the shifter as seen in the movie car, though this will void the Roush warranty. Prices range from $189,000 -$284,350 and it takes around six months to build the car.